Online listings and reputation are a key component to your business. Consumers and potential clients need to have a consistent phone number and address to verify your legitimacy. Also search engines require consistent accuracy to your listing to give your business a higher and improved overall ranking. In today’s world everyone wants to read reviews on products and businesses. It is important that you not only have a high review rating… You also have multiple and current reviews. Like the business listings, search engines also require reviews on your business to help increase your ranking. 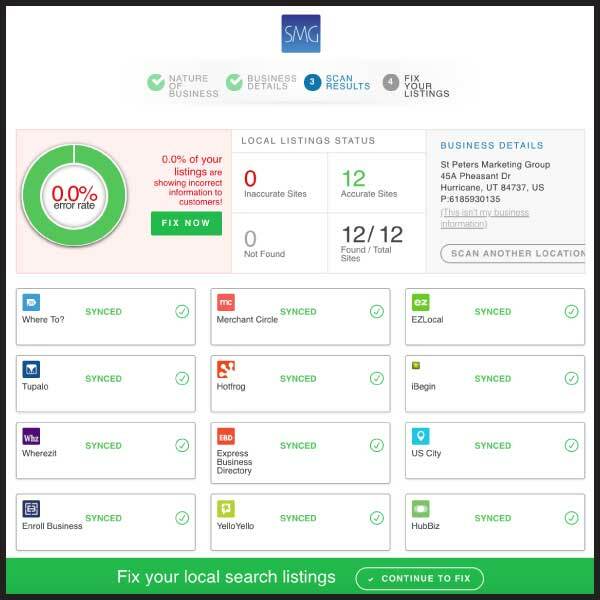 Wouldn’t it be nice to be able to see all your listings updated and corrected, be able to send reviews from your computer or cell phone, and have it all on one dashboard… Here at SMG we have a dashboard to do just that. Not only can you send reviews, you can see new ones that are posted online.